Fast Sync & Charging - The UNBREAKcable USB-C Cable supports charging currents up to 3A and transfer speeds up to 5 Gbps, making it possible for users to transfer a HD movie within 5 seconds. Lasts 20X Longer - Exceptional tensile strength is provided by a high-performance and ultra-strong aramid fiber core. With a 20,000+ bend lifespan, UNBREAKcable is many times more durable than most USB-C cables in the market. Safer & More Reliable - Unlike most USB-C products in the market, UNBREAKcable uses high-quality tin-plated copper as well as a special insulation layer which reduces the risk of a short circuit. In addition, the excellent screen effect due to the braid and aluminum foil ensures reliable data transmission. Universal Compability - Compatible with almost all devices with a USB Type-C port, including Samsung Galaxy S8/S9, S8+/S9+, Note 8, GooglePixel 2, Google Pixel, Pixel XL, Pixel 2, Pixel 2 XL, LG G6/G5/V20/V30, Motorola Moto X4/Z2, Sony Xperia XZ, Huawei P10/P9/Mate 9, Honor 8/9/10, MacBook Pro, HTC 10/U11, Nexus 6P/5X, Asus, OnePlus 2/3/3T/5/5T/6, Nokia 6.1, Nintendo Switch etc. Warranty - This product comes with a 36-month warranty and we offer friendly, easy-to-reach customer service at no additional cost. Simply contact us whenever you encounter issues with this cable and we shall give you a satisfactory reply within the shortest possible time. 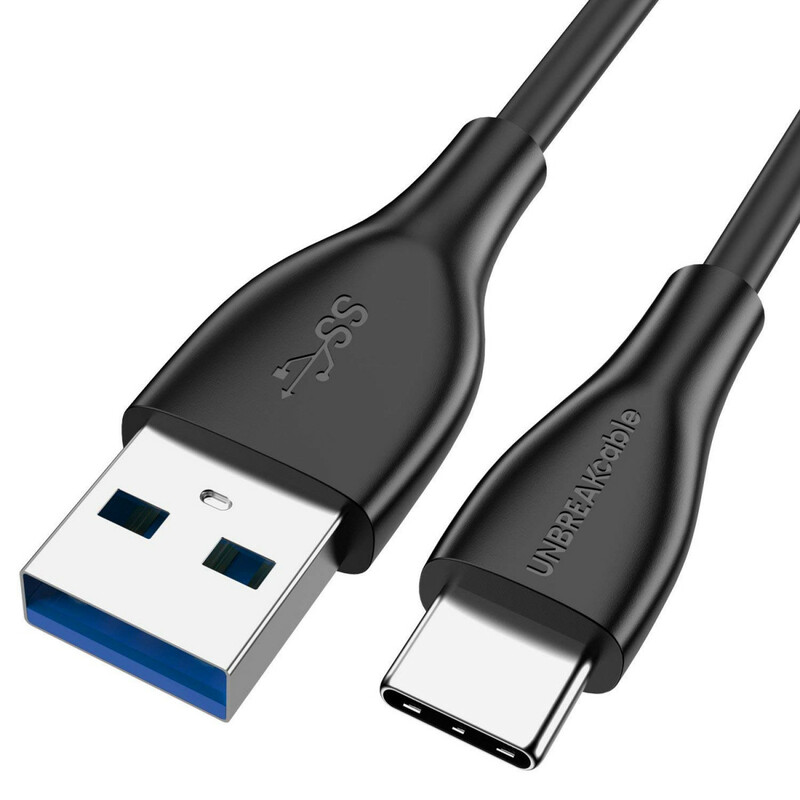 Why choose the UNBREAKcable USB-C Cable? UNBREAKcable is reinforced with a high-performance and ultra-strong aramid fiber core to provide exceptional durability. The cable has been excessively bent and flexed more than 20,000 times during rigorous quality control tests to ensure that it is a sturdy and reliable product for you. 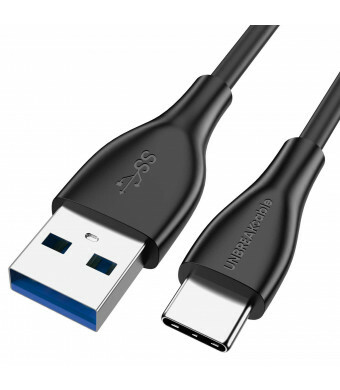 The product has been manufactured in accordance with USB 3.0 specifications and is able to support currents up to 3A as well as transfer speeds up to 5 Gbps. In addition, its standard 56k pull-up resistor ensures the batteries of your devices are well-protected. Every little detail has been considered to deliver a hassle-free charging experience. Thanks to the latest user-friendly design of USB-C, you will be able to insert the cable connector correctly every time, without worrying about the plugs orientation or the cables direction.